You have no idea how long a week can be, until you have a handcrafted Salted Caramel Honeycomb Bar sitting on your dining table, with eyes following you around the room, telepathically calling “bite me, eat me, let me crumble in your mouth”….too far? “Why did you wait a whole week?” I hear you ask, well if I had opened it straight away, took a bite, I probably would of devoured the whole thing and then it would just leave me with an empty packet to photograph for you guys. I am sure that would not be very exciting for you to look at…. (take note of the dedication I show you guys, I held off for a whole week!! )…..I always promise to have photos that you can drool over, I did it for you!….now prepare to drool…. The first thing that striked me was the quality of the packaging. This is not a generic chocolate bar off the shelf. It has an air of decadance, I would refer to it as an extra special treat of indulgence. If you want to enjoy a chocolate bar and make a real moment of it, then the Mighty Fine Honeycomb range is right up your street. Nothing has been compromised, they have thoroughly thought of every component, from the Bees to the wrapping and I love that with every bar they sell they are making a donation to the Friends of the Honey Bee. The honeycomb had the perfect crack and once crunched it melted on my tongue, along with the chocolate and the last thing to tingle my tastebuds was the hit of salted caramel. “The generous dollops of honey that we add at just the right time makes our honeycomb taste amazing. and they offer FREE delivery with all UK orders over £20. Delicious honeycomb fully enrobed in smooth 70% dark chocolate. 50g of pure Mighty Fine indulgence to enjoy on-the-go. Delicious honeycomb fully enrobed in thick, Belgian milk chocolate. 50g of pure Mighty Fine luxury to enjoy on-the-go. 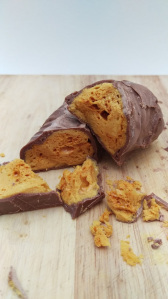 Delicious, salted honeycomb fully enrobed in creamy caramel chocolate. 50g of pure Mighty Fine luxury to enjoy on-the-go. 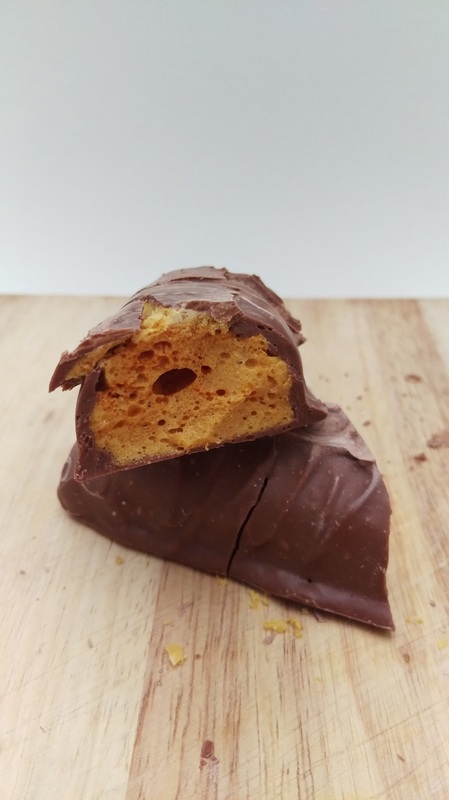 Delicious honeycomb fully enrobed in crunchy, peanut butter flavoured milk chocolate. 50g of pure Mighty Fine luxury to enjoy on-the-go. Definitely the Peanut Butter Honeycomb Bar is next on my list to try. Imagine if they could create an Almond Butter Honeycomb Bar….my mind would be blown!! Now I am sat here looking longingly at my empty packet, where the bar once layed encased. What would I give to have that bar following me around the room again, tempting me! Next Hank’s Hijack | Letz keep all of this between us…yeah guyz? This reminds me of this awesome candy I had when I was a kid! I must find some! Ugh. I love honeycomb crisp bars. We can't get them over here very often, as they seem to be a UK only treat. When I can find them, I buy several, so I know the struggle of having them around and trying not to eat them! I've never had a honeycomb bar, but I like salted caramel. Sounds like a tasty treat. This looks a lot like that violet crumble chocolate bar, only this brand has more flavors to offer! I would love to give it a try! Thanks for sharing your experience. 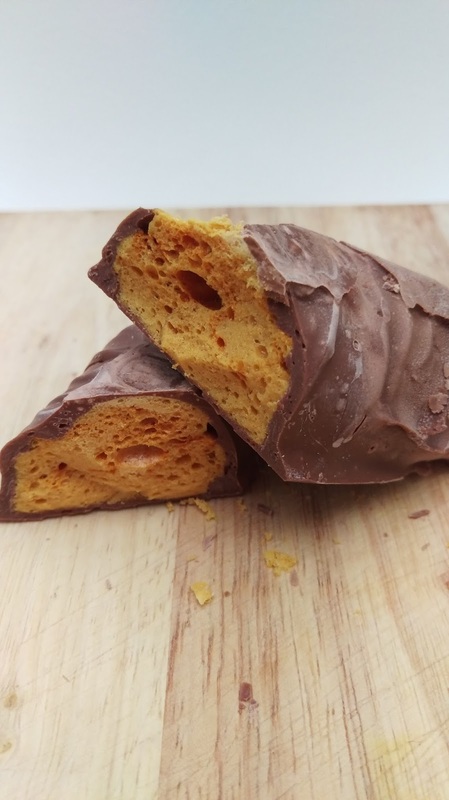 Honeycomb crisp bar looks fantastic! I'm gonna try it. I've never seen anything like it. I'd love to try it. You are most welcome Elizabeth. I'm looking forward to tasting the rest of their range 🙂 yum yum! I love salted caramel so I would try the Salted Caramel Honeycomb Bar. I like salted caramel for a candy or drink. I love a honeycomb bar and only ever had them when I lived in the UK. I haven't been able to find an equivalent here in the states. Honey and chocolate is my favorite sweet treat combo! This looks amazing. YUM! This looks kind of like a Butterfinger, especially with the crack and crunch you mentioned. It looks delicious! Do they have that here in the US? I am a huge fan of Salted Caramel Honeycomb but have never heard of this brand until today. I will keep an eye out when I am at the store next time. I like trying new candy and never heard of this before. I NEED SOME!! I've never heard about this too. I would like to try the dark chocolate one. I will have to look up Butterfinger, that sounds like my kind of thing too 🙂 thanks! Honeycomb and salted caramel sounds perfection. I wouldn't be able to hold off for a week.